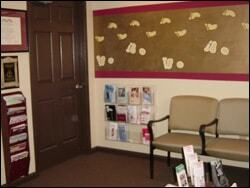 Comfort and convenience are the hallmarks of our Columbus Podiatry & Surgery office operations. 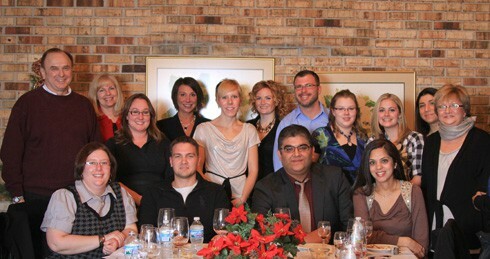 Columbus Podiatry & Surgery is located in between Worthington and Westerville Ohio on 23. Our podiatrists in Columbus, Ohio believe that a foot doctor and patient become a team for treating an individual’s feet. Our physicians spend most of their time listening, to understand your concerns and respond with the best treatment options for you. With the help of our professional staff, they also follow up to make sure that your problems and questions are resolved and your health improves. Please visit our team page to familiarize yourself with our practice and our Worthington podiatrists. Local Landmarks: Look for a Taco Bell and Wendy’s at the corner of Lazelle Road and N. High Street (Rt. 23). Building Information: Shared parking lot with Highbanks Nursing Home. Our parking spots are clearly marked. Handicap Accessible. To ensure your convenience, below is the information you need about our hours, Columbus Podiatry location, appointment scheduling, insurance acceptance and billing. We know you have many choices when choosing a podiatrist in Columbus Ohio, so we have made requesting an appointment a simple process via our Web site. If, for any reason, you cannot keep a scheduled appointment or will be delayed, please call as soon as possible. This office requires that cancellations must be made within 24 hours or a $25 fee will be charged. Our office accepts a variety of HMOs, PPOs, and other health plans. Please call our Gahanna office to verify acceptance of your insurance carrier.